Zone of Lugana, south of the Lake Garda. Short maceration (24 hours maximum), with grape skins in stainless steel tanks; 4 months maturation in stainless steel tanks, 7 days fermentation in stainless steel tanks; 4 months maturation in stainless steel tanks. Moon yellow in color, with clean and spicy smell, highlighted by delicious hints of tropical fruit. The taste is medium-bodied with a clean, crisp finish. Excellent with sea food and cold white meats, light appetizers, soups and fish. Chardonnay is a varietal vine cultivated to the south of Lake Garda in the natural amphitheatre formed by glacial hills. Geographical location and characteristics of the vineyard: to the south of Lake Garda in the municipality of Peschiera. Vinification: fermentation for 15/20 days in stainless steel tanks at a controlled temperature of 16/18 degrees. Refinement for 4-5 months in stainless steel tanks followed by 2-3 months in bottles before sale. Bouquet: intense with pleasing floral and fruity notes. Taste: dry, fresh, well-structured body, balanced with remarkable softness. The four different grape varieties mature at different times: Trebbianello in early September, Fernanda in mid-September and Trebbiano and Gargenega at the beginning of October; this means that we vinify each variety separately. The manually harvested grapes are destemmed and pressed. Only Fernanda, with its semi aromatic qualities, is macerated for a few hours before pressing. Each must, after being clarified, is fermented for 10-15 days at 180C. There is no regular malolactic fermentation and the yeasts, which are regularly stirred, are not removed until January/February when the final cuvée takes shape. A straw yellow shines through the glass with some green tones; slightly aromatic to the nose, it unfolds generously in the mouth with great balance and flavour. It is a versatile wine, perfect with aperitif, fish, white meats and, at the top, with the “Tortellino of Valeggio”. 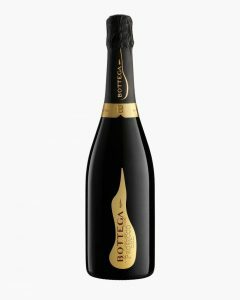 Il Vino dei Poeti Valdobbiadene Superiore is a Prosecco DOCG, obtained by the vinification in white of grapes grown on the hills near Treviso, between the towns of Conegliano and Valdobbiadene. Conegliano Valdobbiadene Prosecco has been recognised as a DOCG wine in 2009 and embodies Prosecco quality excellence. Brilliant, straw yellow. Fine and persistent perlage. 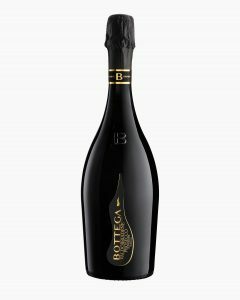 Typical and refined, with fruity (green apples, pear, citrus fruits) and floral (wisteria, acacia and lily of the valley) notes. Harmonious, elegant and balanced; on the palate, it is made soft by sugar residues, while also being dry thanks to its lively acidity. Excellent as an aperitif and in cocktails, it is also an ideal all-around wine. It goes particularly well with radicchio or asparagus dishes, with pasta, risotto, fish courses or white meat. Vinification: Gentle crushing and destemming, and a brief period of maceration of the grapes prior to fermentation. This is followed by a long, delicate fermentation (with skin contact) in temperature-controlled stainless steel tanks. Organoleptic description: A dry red wine. Nose: Delicately fruity and fragrant with notes of cherries, strawberries, raspberries, and red currants as well as hints of spices on the nose (cinnamon, cloves, black pepper). Flavour: Rounded and dry, with the same sensations of crunchy red fruits and berries perceptible on the nose. Lightly spicy with well-balanced, fresh, and easy-drinking style. Created by Count Loredan as a “Venegazzù Superiore” in the “Riserva della Casa”, this wine was often used for special occasions in the city of Venice. Indeed, during the 1960s, this wine numbered many heads of state among its admirers – a fact which, of course, has led to the name it bears: ‘Head of State’. Our Capo di Stato starts life in a selection of grapes, in particular those from an old vineyard planted in 1946 and known fondly as “the 100 Plants”. This vineyard is located in Venegazzù (40km north of Venice in the province of Treviso), where the Montello terroir confers its truly unique character. The grape varieties are: Cabernet Sauvignon, Merlot, Cabernet Franc and Malbec from old clones. 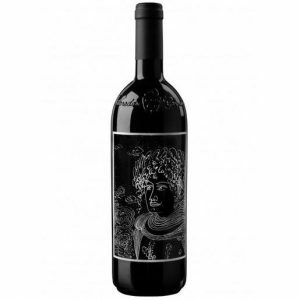 The wine is always original, profound, with a warm colour, intense boquet and rich aromas of soft fruits and spices. Through its body and fabric and its sweet tannins, it persuades the palate of an infinite silkiness. This wine has, then, a strong personality: never flattened, never fitting into the humdrum variations of fruit combed with oak: it will always express itself with aromatic originality, bringing a fighting spirit to its tasting. described by Hugh Johnson as “an ingenious technique”. Masi’s expertise in grape drying technique. Palate: rich, intense cherries and berry fruit; good length and soft tannins. TASTING NOTES: Fairly intense straw yellow with green highlights. This classic Veronese white wine is striking for its fresh and inviting breadth of aromas, sketched out with wild flowers and white peaches, and vibrant, vegetal notes. On the palate, the wine is fresh and simple with a supple body, dry and smoothly rounded.